STX Roofing and Construction wants to be your go to, all around experts. After all, STX Roofing services include more than just roof repairs. We want to take care of anything and everything you have with your roof. If you have any sort of home repair problem, STX Roofing wants to be your choice. That's why we make customer service our top priority. If our customers are happy, we're happy. It's just how we choose to run our business. STX Roofing and Construction can take care of any roof needs you may have. Anywhere from simple fixes or repairs to a full on replace of your entire roof, we want to take care of your roof. Do not neglect something as simple as the roof on your commercial property or home. Neglect over time can cause for bigger problems, and bigger problems mean more money which is the last thing anybody wants. That is one mistake, and another hiring and amateur to take care of the job. The problems that arise when you have someone who does not know what they are doing working on your roof can end up being far more costly than having it done right the first time. Just go ahead and ask some of your friends, family or coworkers. One of them definitely has a horror story to share with you, about how they tried to save a buck and cut some corners calling up some unqualified individual to work on their roof. It is not a pretty site. Not only can it be more costly, but it can also be more hazardous and annoying, causing you an annoyance you do not want to deal with. STX Roofing and Construction are professionals. We have a full team of experienced pros that know what they are doing. 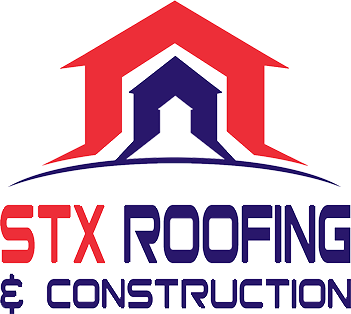 Our team at STX Roofing and Construction Expert knows the ins and outs of anything that has to do with your roof, whether it is in your home property or at your commercial property. STX Roofing and Construction is part of your community, and that is why we care about your roofs. A happy community is what everyone strives for, and here at Kingwood Roof Repair we are no different. We want our friends and neighbors to have the best roofs over their heads that we can absolutely give. Our team is passionate about making sure you are satisfied with your roof. That is why we are not afraid to answer any questions you may have or go the extra mile to make sure you are completely good with your choice. We know we are the right choice and are confident in our experience and the quality of our work. We want you to be able to rest assured, trusting the important job of tending to your roof, is taken care of properly. STX Roofing and Construction believes in doing the job right the first time, so we do not waste your time. Do not hesitate to call STX Roofing and Construction today and schedule an appointment!